It is so much fun going to the big Stampin'UP! events. Saturday was the Milwaukee Regional. I drove over with one of my downline (Sue Ampe) and her guest Bonny. Here they are working on one of the Make-and-Takes. Look at that crowd behind them! I didn't count but I'll bet there were 700-800 people there. Our local group has really grown over the years. 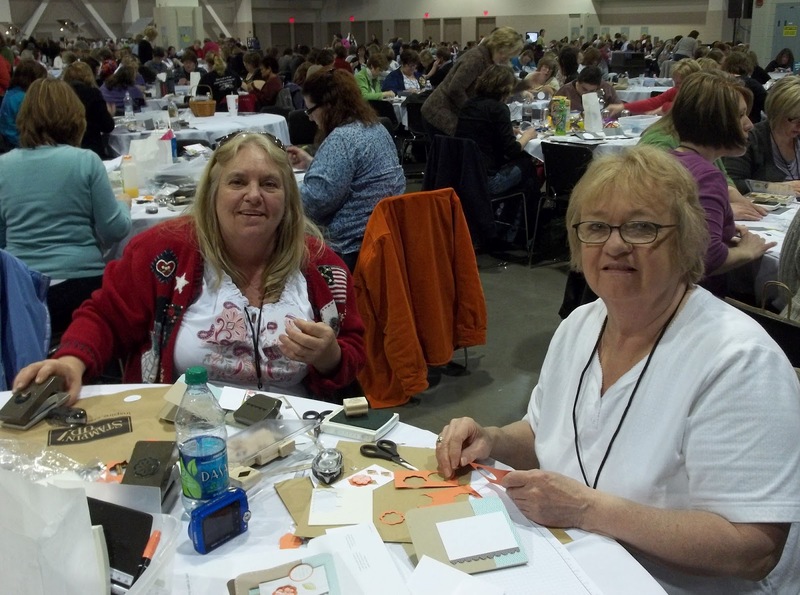 Our core group is located in the Madison area but we have group members from all over the US. These pictures represent people from southern Wisconsin: Janesville, Sun Prairie, Mt. Horeb, Hudson, Poynette, Madison, Stoughton, Milton, Waterloo and Deerfield. Does it look like we had a good time? You bet we did. These events are so energizing! and . . . it included a great lunch! Would you like to attend events like this? 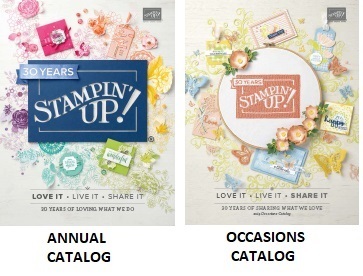 Contact me about joining Stampin'UP! some of these people are running active businesses like me. But not all of them. Others are doing small card events occasionally with neighbors and friends and a some have purchased the Starter Kit as a way to get a discount on their personal purchases. What ever your reasons for buying the Starter Kit, Stampin'UP! is there to support you. With events like this one and with access to an exclusive demonstrator website and a monthly magazine just for demonstrators. Need a little more convincing? Check these pictures. There was a WHOLE wall of display boards with card samples like the photo below. 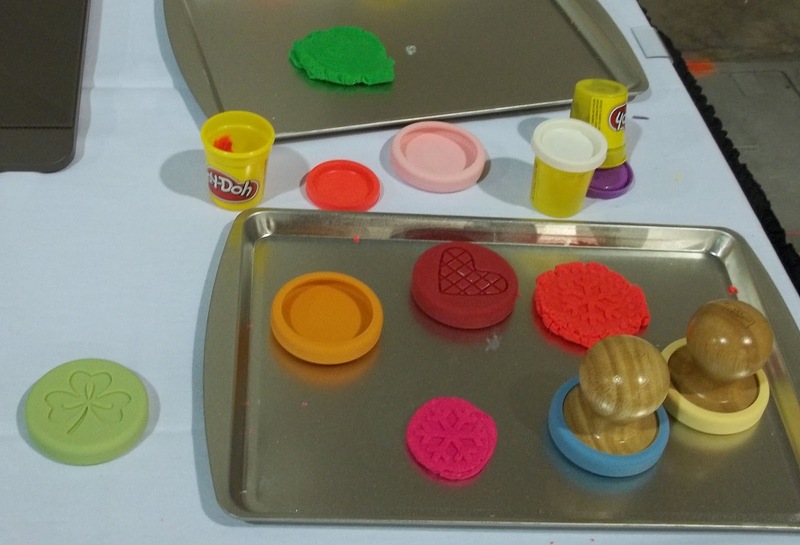 There were lots of product displays including a chance to play with the new Cookie Stamps. In case you missed it, Saturday's post showed a little cookie treat I made for everyone in the group. The Starter Kit is a great deal . . . whether you want to start a business or just want a ton of stamping stuff for a really really good price. There are 2 versions, one is all stamps and paper crafting supplies and the other includes our Digital Software. Check out the details HERE. and you CAN SUBSTITUTE other items in the catalog for the stamps an inks in the kit. It doesn't matter if you are local to Madison or anywhere in the US. Buy the Starter Kit and you can attend events like this. Its an incredible experience and you will be so glad you did. Call me with any questions (608-220-3450) or just buy the kit HERE - click Join Now. The Starter Kit really is a great deal - it contains over $340 worth of product for only $175 - that alone is a good deal. 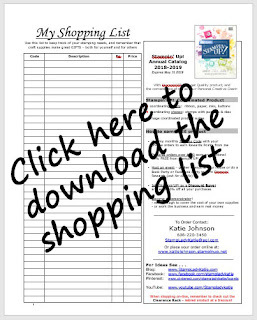 Through the rest of March it is on sale for only $125 and you'll get a free package of Designer Paper each month for the rest of 2012 with your first order for the month. Check out the website or contact me about this great Kit.